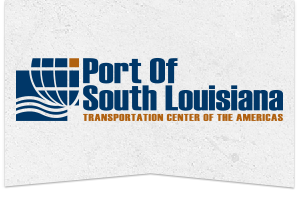 PORT OF SOUTH LOUISIANA JOINS PORT EDUCATION PARTNERSHIP – Inland Rivers, Ports & Terminals, INC. The International Association of Maritime and Port Professionals (IAMPE) is pleased to announce that the Port of South Louisiana has joined the IAMPE as a Port Executive Education Partner. Paul Aucoin-AMPE, Executive Director for the Port, was also awarded the Accredited Marine Port Executive Professional Certification, accredited by the Association and in partnership with the Loeb-Sullivan Graduate School of International Business and Logistics at Maine Maritime Academy.